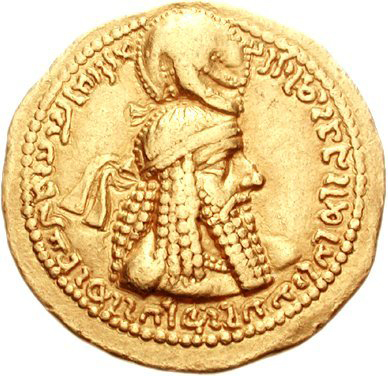 Ardashir I on a gold coin (source: Classical Numismatic Group, Inc., CC BY-SA 3.0 license). In 230, Artaxerxes (Ardashir) felt confident enough to invade Roman Mesopotamia. He laid waste to the country and threatened Syria, though he failed to take Nisibis. The Persian invasion may have been just a probing attack instead of a full-scale assault, but it was serious enough to draw the emperor to the East. First, he sent envoys and tried to negotiate with his adversaries. It soon became clear that his opponent was keen to restore the Achaemenid Persian Empire that had been destroyed by Alexander the Great in 331 BCE. Artaxerxes – at least according to the biased Roman sources – basically claimed all the territories that had once been under Persian rule. This was, of course, not acceptable for Alexander the Great’s namesake. Severus Alexander arrived in Syria with his mother, probably in 231. Now that diplomacy had failed, the emperor began mobilising his forces near Antiochia. New troops had already been recruited in Italy and other parts of the Empire. The Historia Augusta claims Alexander had created an elite corps of men with silver and golden shields (argyroaspidas et chrysoaspidas), and had formed a phalanx of 30.000 men which he called his phalangarii. These men seem to have been ordinary legionaries from six legions, equipped like other Roman legionaries, but receiving a higher pay after the war. Alexander decided to give the Persian envoys part of what they wanted, figuratively speaking. He had the envoys arrested and sent to Phrygia (once part of the Persian Empire), where farmland was assigned to them to work on. The furious Roman emperor now began his counter-offensive. 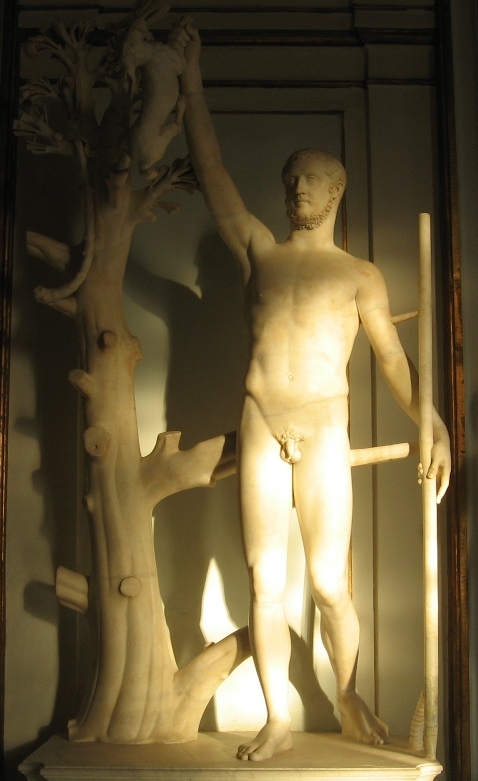 Hunter, sometimes identified as Severus Alexander (Capitoline Museums, Rome). Alexander – or rather: his staff – divided his forces into three separate columns. The first column was to march from Antiochia to Edessa, then through Armenia and attack the satrapy of Media. The second column received orders to follow the Euphrates in the direction of Ctesiphon (which is on the Tigris), while the third, commanded by the emperor himself, took the middle route between the Euphrates and Tigris rivers. The ultimate goal of the expedition is not mentioned in our sources, but some historians have speculated that it may have been the Persian heartland near Susa. The first division had great difficulty getting through the Armenian mountain range, but nevertheless managed to reach Media. The countryside was pillaged and Persian counterattacks were largely ineffective, as the rocky terrain greatly favoured the Roman infantry. Artaxerxes decided not to focus on Media, but to turn his attention to the second Roman column, which was marching along the Euphrates. There may of course have been a few survivors, but the battle had been a staggering defeat for Alexander, who had shown a lack of skill as a general. His soldiers were furious and felt betrayed by their emperor. To make things worse, Alexander fell ill and ordered a full retreat back to Antiochia. He also recalled the column that was still fighting in Media. This part of the army suffered heavily on the way back, not just from enemy attacks, but mostly from frostbite, as winter had already set in. To add insult to injury, Alexander’s own column suffered numerous casualties as well on its way back to Syria. The emperor had to dig deep into his coffers and distribute money among his soldiers to remain assured of their loyalty. It does indeed seem possible that Persian losses in Media were considerable, and the encircled Romans near the Euphrates may have taken quite a few enemies with them to Hades, but in the end the Romans were the true losers of this war. Alexander immediately mobilised new troops and prepared for an invasion that did not come. Artaxerxes for the next few years decided to focus on consolidating his power in his home country. But he had certainly not forgotten his expansionist ambitions. – Historia Augusta, Severus Alexander 50, 55, 57. – Adrian Goldsworthy, The Fall of the West, p. 88-91.